Hope to see you tonight! For more information click here. 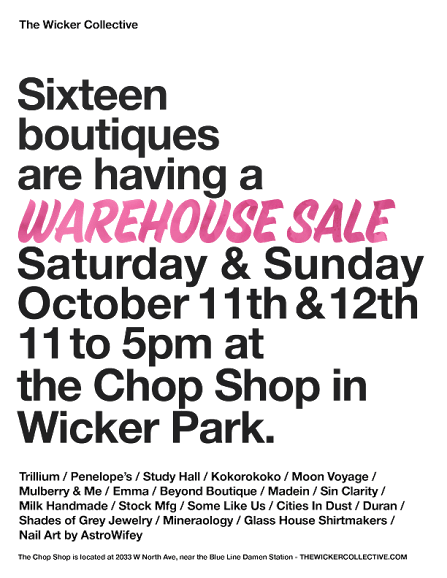 The Wicker Collective is having another Warehouse Sale. Come support local boutiques and get your hands on one-of-a-kind pieces. P.S. doesn’t the photo on their webpage look familiar? The Fashion Outlets of Chicago is participating in the 2nd annual outlet mall festival. Check out the special deals and events on their website. The 4th annual Chicago Ideas Week is upon us which is a premier year-round gathering of thought leaders created to drive ideas into actionable results. Attendees are encouraged to continue the conversation after Talks in intimate meet-ups hosted at nearby locations. There are over 160 public events and most events are $15. CIW’s goal is to stimulate new initiatives and ventures, create new connections and collaborations and establish A Community of Curiosity. 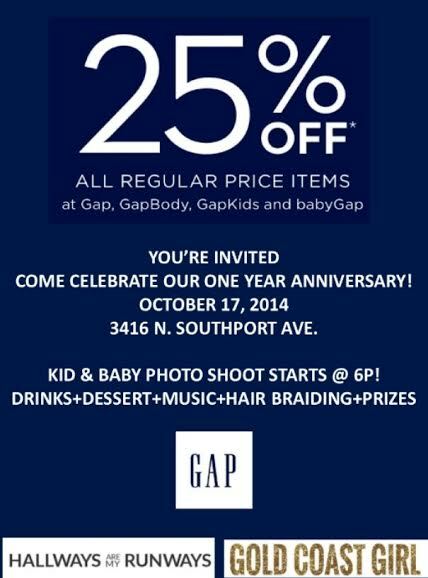 More details to come for the one year anniversary party at Gap-Southport next week, but wanted you all to save the date. 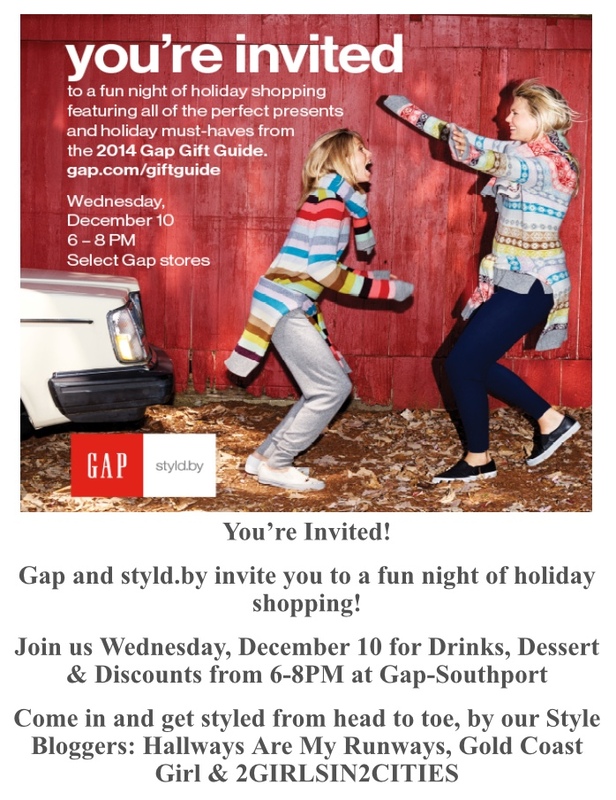 Gold Coast Girl and I will be styling all night long and enjoying the festivities. 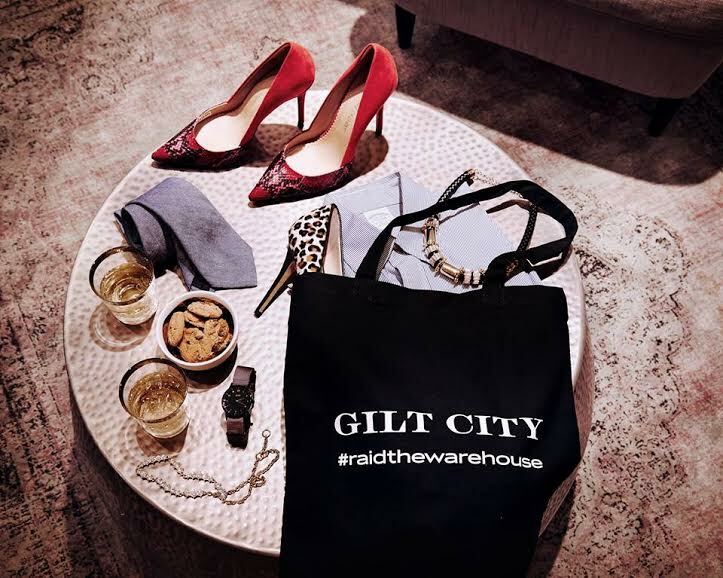 The famous Gilt City Warehouse Sale is next weekend. Get your ticket before they sell out! This year there will even be a John Varvatos pop-up shop. You don’t want to miss this. Have nothing to wear? Don’t fret! Here’s a list of Labor Day sales happening right now. Happy shopping! Bauble Bar: Jewelry style starting at 50% off. C.Wonder: 30% off full price items. French Connection: All sale dresses are now $69.99 and all orders $150 + receive free US ground shipping with code W14SHIP. Stella & Dot: Extra 25% off all sale items. Target: Save up to 25% off select home, outdoor and more.